You are here: HomenextPlacesnextTilbury ferry fields remembered. 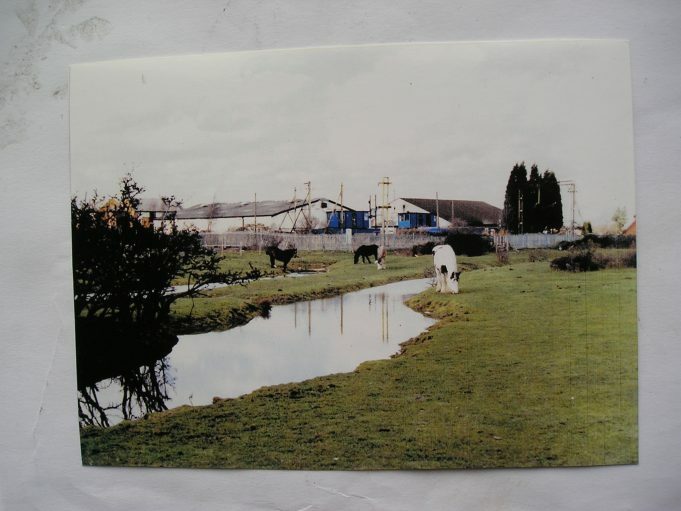 Amongst some of my old nostalgic photos I came across four images of the old Tilbury ferry fields, which people from Tilbury used to walk across to get to the Worlds End pub, the Tilbury Fort, landing stage for the ferry to Gravesend, in earlier years for trains to riverside station, and of course just to enjoy walking over to see the horses which grazed on it and birds which nested in the bushes and to walk their dogs. Thanks for posting these photos, they do evoke some great memories from the 1940s/50s. A few years after the ‘boys-own’ nesting days came Saturday night dancing at the Clarendon in Gravesend; then a rush to get the last boat back; followed by a walk across those ‘black as pitch’ fields, (not alot of ambient light in those days) hoping that you wouldn’t bump into a sleeping horse!!! 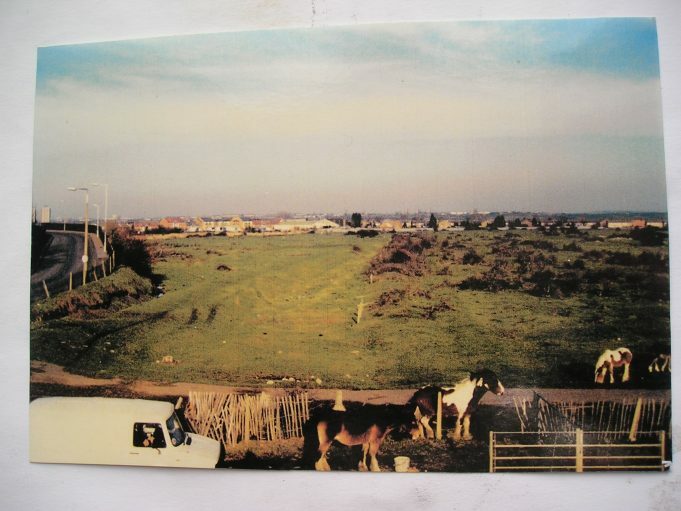 My mum at times used to call out that there were bloody horses in the garden again eating the vegetables, they had escaped from the fort road fields, consequently mum was always reminding us to close our garden gates to stop the nags getting in !!! It was new years eve, I was about 5 or 6 year old ( 1967/68). I was allowed to wait up for my dad to come home from the pub to say happy new year, I remember sat by the fire in my nightie almost asleep when the back door opened and a little black bundle of fur came tearing towards me and nipped my big toe. . As my dad was walking back across the ferry fields he had come across a man that he’d been drowning some puppies in the moat, he had one left. Feeling sorry for it and rather tipsy my dad put the pup inside his jacket and fetched it home. . . Of course seeing as it had bit my toe I took an instant dislike to it, however that didnt stop it becoming a constant companion over the next 15 years for the rest of the family. As a youngster I recall that there used to be a signal box close to the point where we crossed the railway line to reach the fields. In the 60s, my brothers and I, amongst other people discovered that thera had been a rubbish tip in the field just the other side of the crossing and digging there revealed a few items that had been tipped there from the Tilbury Hotel, but nothing really collectable.. Also on the same site before world war two was the resting place of an old eastern national bus..the reason for which I never found out. In the 1930’s we knew the fields as the “World’s End Fields” and I can’t recall any evidence of railway activity in those days. 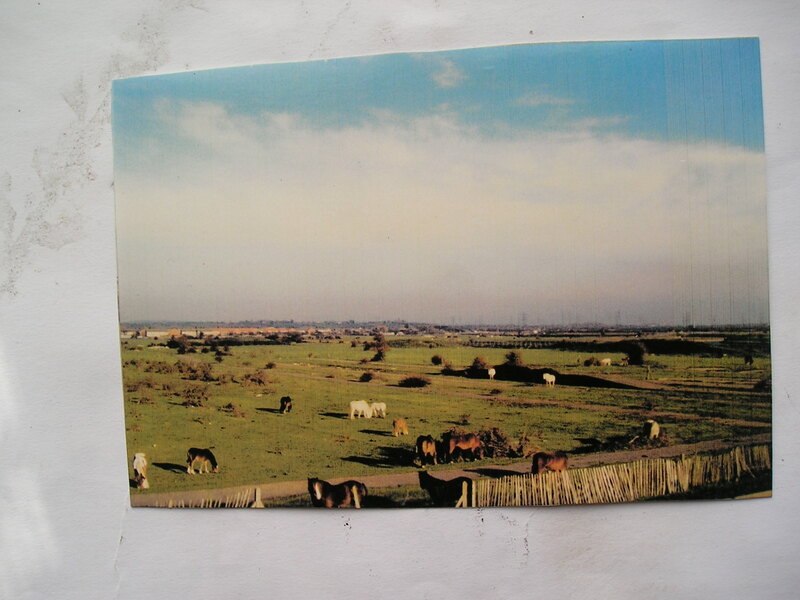 Indeed, ‘Bum Hill’ was a considerable mound which stood roughly in the centre of the clear patch of meadow in Alfie’s first picture and further to the right the fields were traversed by a couple of ditches which we used to jump (and fall in!) on a regular basis. I don’t think the ‘Fields’ saw railway lines until after WWII. 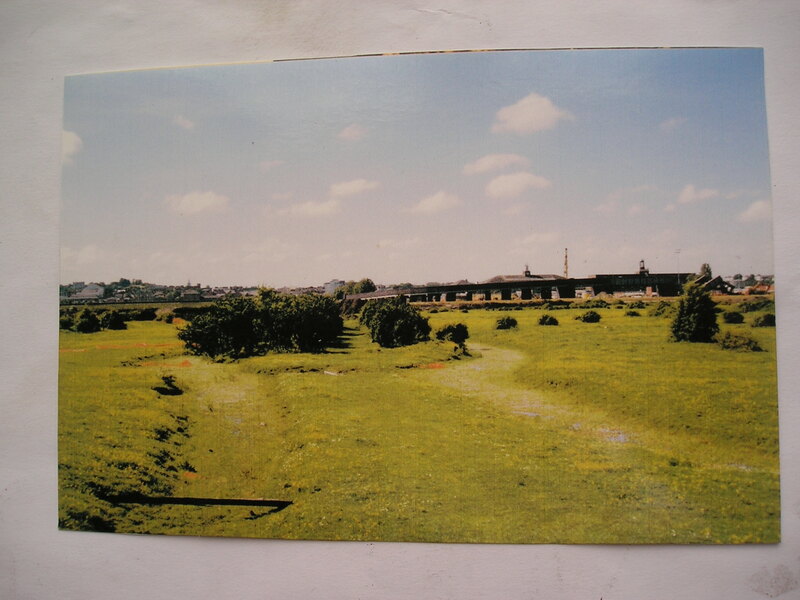 Ferry fields was, in the early part of the 20th Century, the site of railway sidings for coal handling. Some evidence is shown in John Smith’s photo. I don’t know when that use ended but was gone before I worked at the nearby Locomotive Depot in 1952.